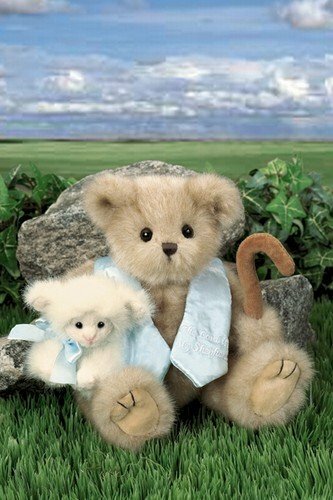 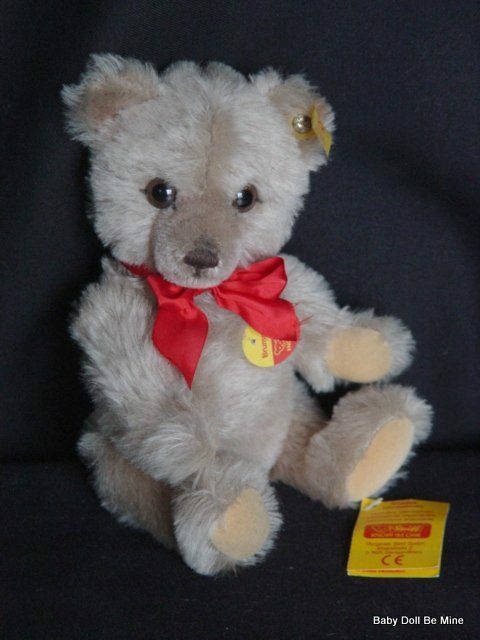 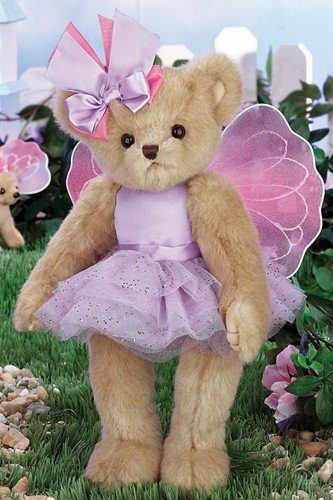 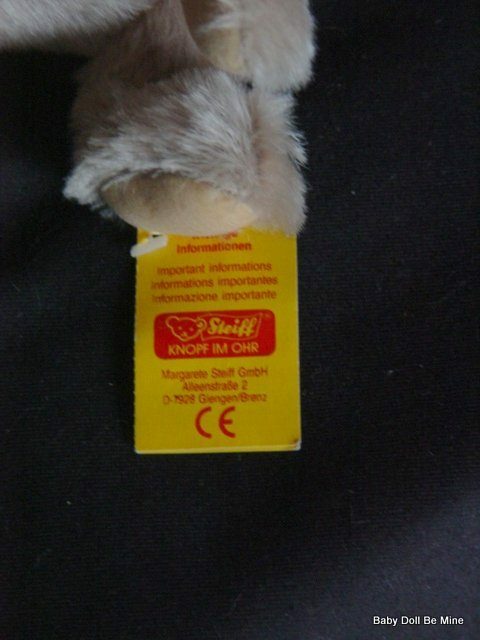 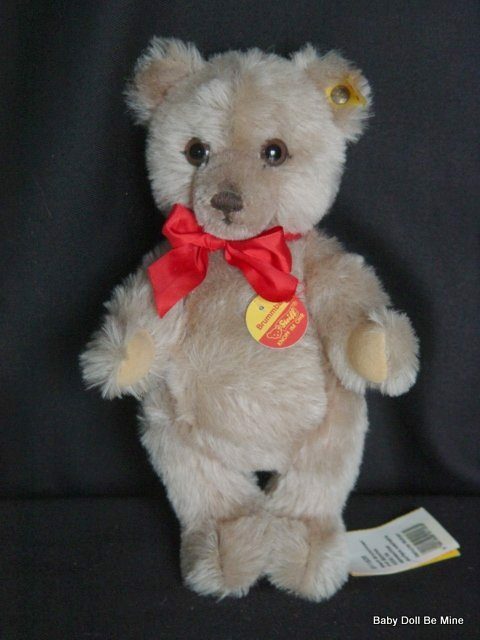 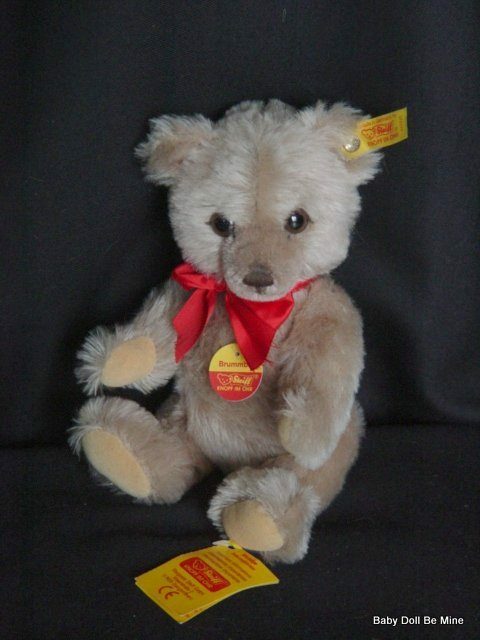 This sweet bear is Steiff’s Brummbar as part of the 1991 collection. 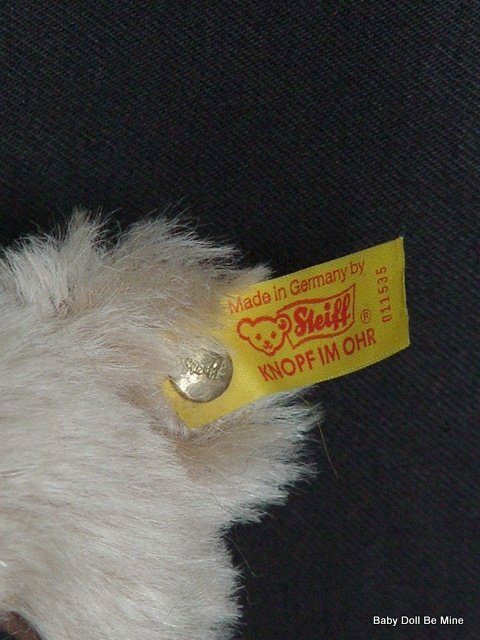 He is almost 11 inches tall with a coat made of mohair. 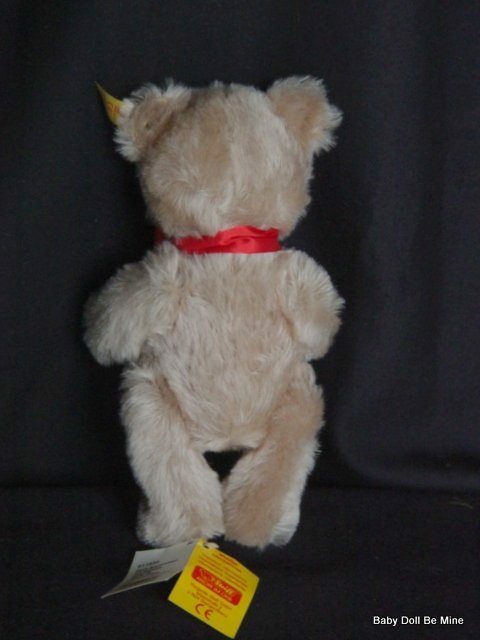 He has joints at his neck, arms, and legs and has brown eyes. 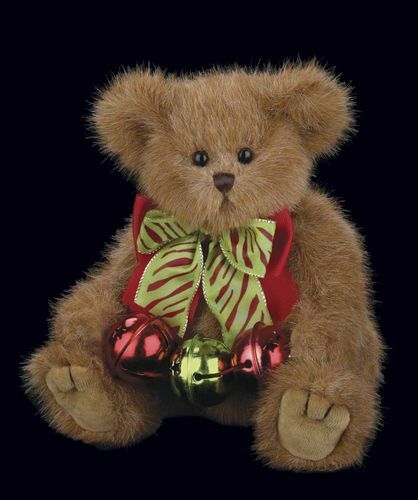 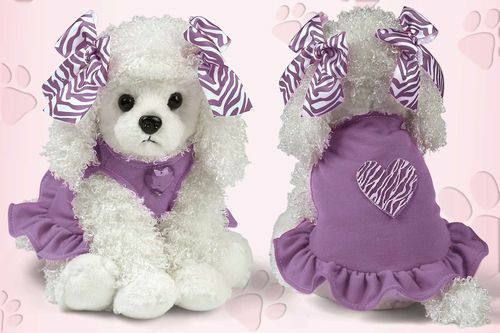 He will give you a little growl as well if you don’t hold him just the right way, so watch out! 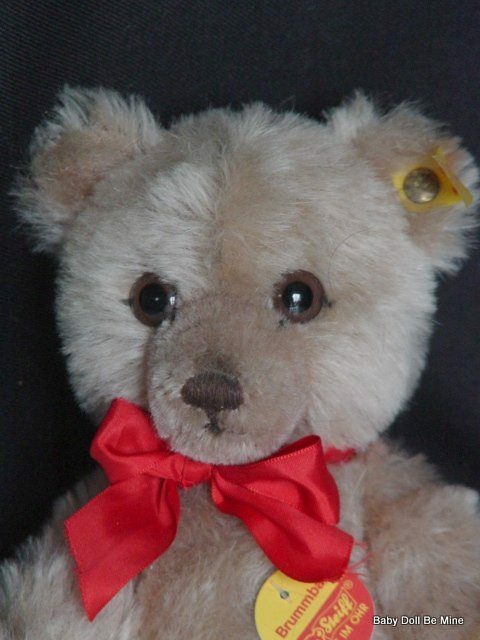 He comes to you in good displayed condition with his tag on his chest, as well as his paper tags on his foot (does have a crease in the tag) and gold ribbon tag on his ear attached with a gold button with an EAN number of 011535.